In 2015 I was commissioned by Tasmanian contemporary dance company, Stompin's performance for Ten Days On The Island at Sawtooth ARI to design a set for their project 6000-1, exploring choice - specifically the choices young people make. 6000 to 1, a reference to Tasmania’s youth suicide statistics, uses the metaphor of a casino and manipulates the concept of time to explore the impact and importance of the choices we make. 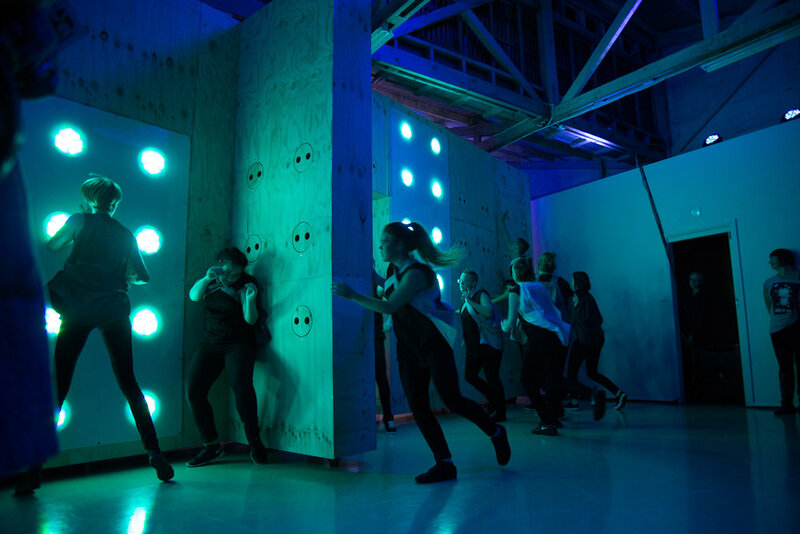 The result was a 7 meter long, 3.6 meter high free standing revolving wall - complete with sound activated LEDs. I designed the wall using architecture software - a plug in on Sketchup "superslob", and Rhinoceros 3d, the components of the wall were cut out on a CNC router and then assembled on site.